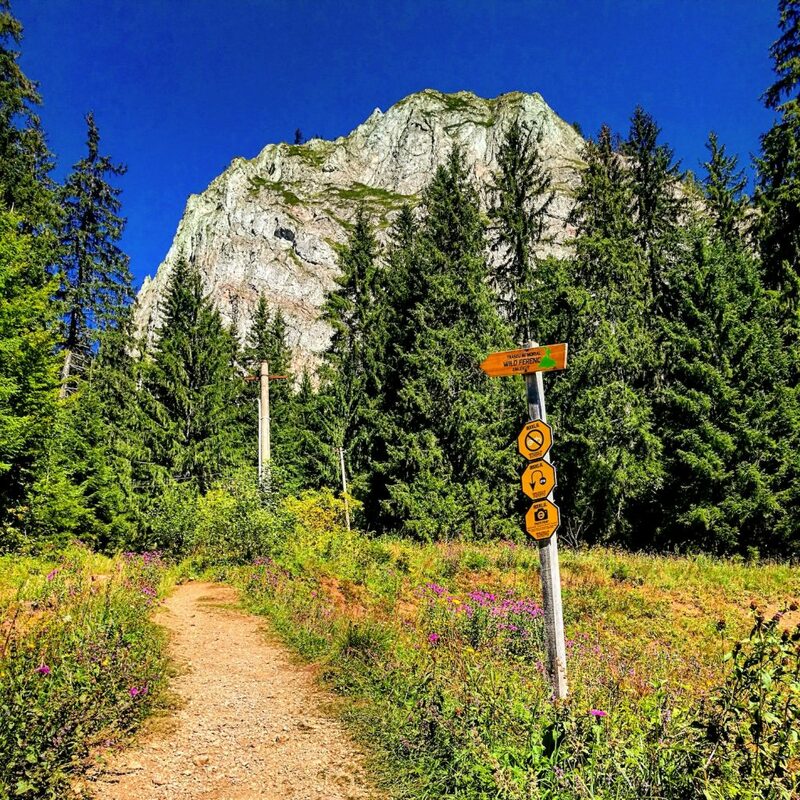 There are great places to visit in Transylvania, but there is an extra reason to stop by the Red Lake. 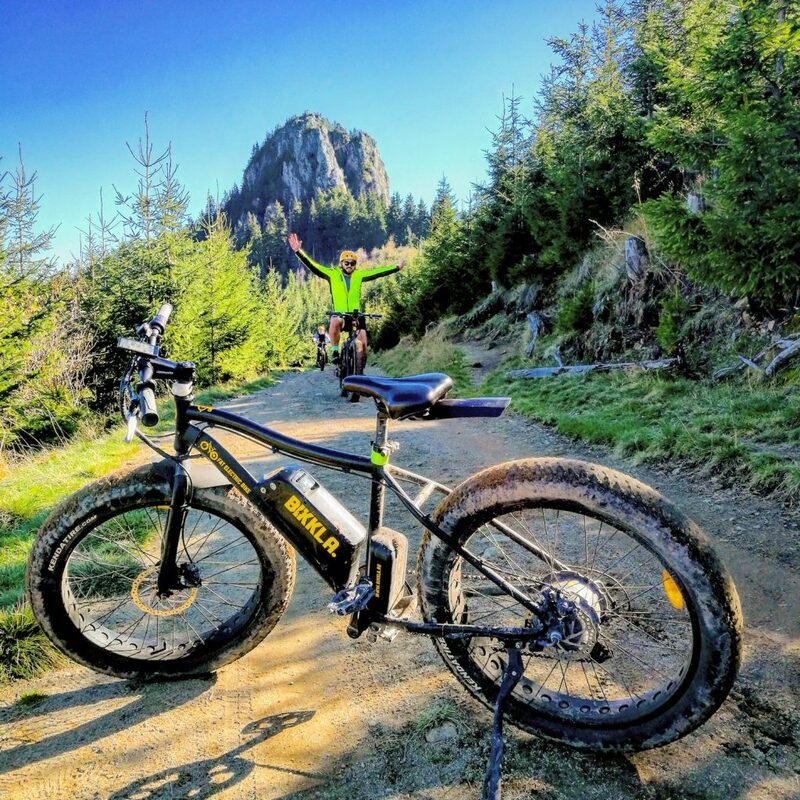 Alongside enjoying the legend of one of the most beautiful and monumental lakes in Romania, now you can leverage the experience with effortless cycling and sightseeing by riding a custom-made fat electric bike, Bikkla. The brainchild of a Gyergyószentmiklós/Gheorgheni-based young designer, Áron Balázs, Bikkla, the fat ebike was born at a moment when he and his wife were ready to leave everything behind and move away to a Western country for a better future. When Áron mentioned his idea of renting electric fat bikes to tourists visiting the Red Lake to his father, he immediately embraced it and backed Áron in starting the business. Every year many tourists visit the Red Lake; it’s the major tourist attraction of the area. Tourists rent out boats to enjoy their time at the lake, so Balázs saw a good business opportunity to offer a unique service: bike rental. “But everyone can bring mountain bikes, so that isn’t a big deal. I wanted something appealing, unique. Fat bikes are such pieces of engineering. However, in order to make riding up the steep hills in this area effortless to all tourists you need power; hence, we opted for fat electronic bikes. We custom designed the frame, and put a more powerful motor and bigger battery on the bike, so tourists can focus on sightseeing and not pedaling,” Áron says. The first six fat ebikes arrived in July 2018 and have run for more than 13,000 kilometers since then. Seeing that their effort received a positive reaction from tourists, Áron and his father ventured into further developments. As Áron’s father, István, is an expert in solar energy, the Balázs family started developing their own charging station using green energy. The success of the first several months inspired the Balázs family to think big, so they considered other tourist attractions as well. 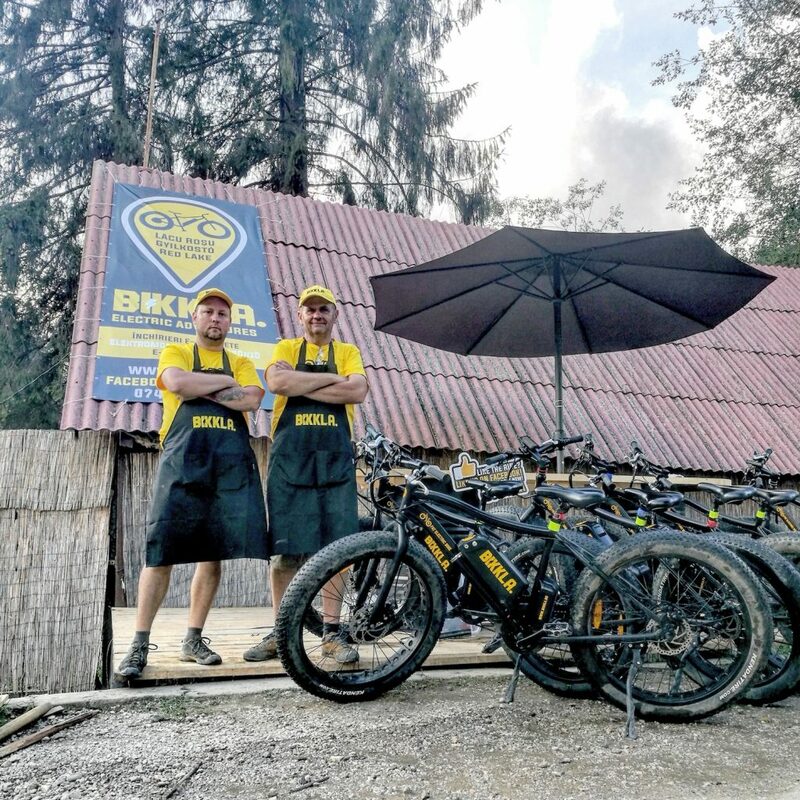 With the help of an investor, they ordered another set of fat ebikes, which will arrive in late spring to open another retail point in Szováta/Sovata. This is the place where the Bear Lake (Medve-tó/Lacu Ursu) the largest heliothermal lake in the world, is located. It is frequented by tourists who visit the Sovata spa resort. The Balázs family plans to equip the Szováta fat ebike rental point with a solar energy chargers used for both ebikes and electric cars. In other words, all the ebikes they own are charged through a solar-powered charging station, while electric car owners can get extra miles (not full charge) at the charging point. “This will be a test year for us, because we will be testing the solar chargers we developed and the market reaction to them,” Balázs says, suggesting that the family has big plans for this segment of the business. Starting this year, tourists visiting either the Red Lake or the Bear Lake can rent out both 26-inch and 20-inch ebikes, a good opportunity for family members to go on an effortless ride in the forest. When renting out a fat ebike, tourists receive detailed guidance for the tracks the Balázs family recommends – all tracks are clearly signposted – or can ask for a longer, guided ride, but that’s a service they have for bigger groups.